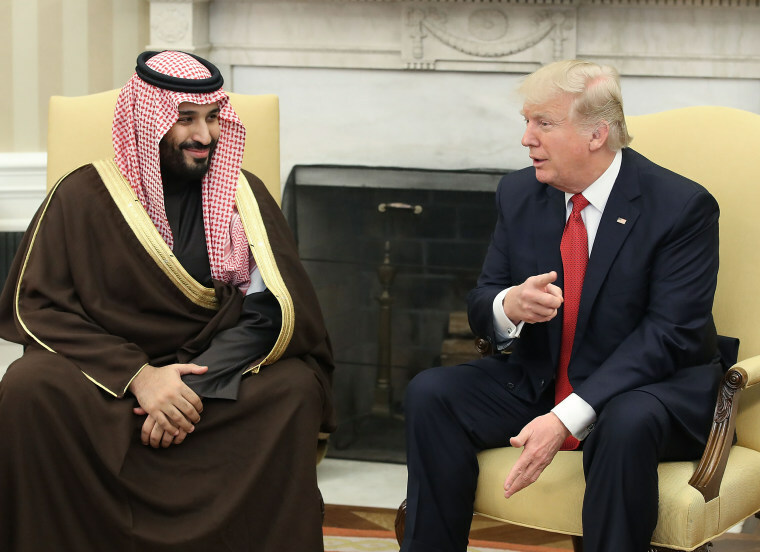 Saudi Arabia, long a problematic U.S. partner, has gone rogue, and Washington’s stubborn support for it is increasingly indefensible. After all, some of the bombs being dropped on poor Yemenis — including on the school bus where 40 children died in August 2018 — were made in America. So were the planes from which they are being dropped. Any moral leadership the United States can still claim internationally is being squandered by our state sponsorship of a regime which terrorizes its neighbors and wreaks havoc on one of the world’s poorest countries. When civil war in Yemen broke out in 2015, western aid groups had been improving literacy rates and food security, helping Yemen climb out of poverty. Since then, however, starvation has soared, as have preventable deaths from kidney disease and diabetes, since Saudi blockades make it hard for dialysis and insulin to reach patients. The rate of child marriage for girls has nearly tripled to about 65 percent because, according to one UNICEF official, parents “need to get rid of girls because they cannot feed them.” This war is Saudi-led but it is U.S.-enabled. How did the United States end up in this unholy alliance with Saudi Arabia? Why did Donald Trump make it the site of his first overseas trip as president? When did we start subverting America’s national interests to protect those of this theocratic dictatorship which imprisons its critics, tries to shut down independent media outlets, detains the prime minister of a U.S. ally, and exports a brand of Islamic extremism barely distinguishable from that of ISIS? Why does this cozy relationship persist? Foreign policy experts typically give three main reasons why we continue to boost Saudi Arabia: oil, Iran, and terrorism. None of these holds water. First, thanks to advances in fracking, the U.S. has overtaken Russia and Saudi Arabia as the world’s top petroleum producer. Fretting about Arab oil embargoes is so last century. Canada now sells us four times more petroleum than Saudi Arabia does. The kingdom has a greater need to export to us than we have to import from it. As renewable energy technologies improve, our independence from Saudi oil should only strengthen. Finally, the notion that Saudi Arabia is a bulwark against terrorism seems downright foolish when one considers that 15 of the 19 September 11th hijackers were Saudi citizens, and the lead attorney for the 9/11 plaintiffs claimed there is evidence demonstrating a “longstanding and close relationships between al Qaeda and the religious components of the Saudi government.” Yes, many of the Saudi people are affluent and cosmopolitan, but the Wahhabism proselytized by Saudi clerics has been criticized for exporting extremism. Finally, the specter of American bombs killing civilians in Yemen is only creating new opportunities for anti-American radicalization. So supporting the Saudi-led coalition actually undermines U.S. national security. Thwarted in reclaiming their constitutional power to declare war, the new Congress will still have the opportunity to end U.S. military support for Saudi Arabia through its power of the proverbial purse. A war powers resolution co-sponsored by Congressman Ro Khanna, D-Calif., and Ken Buck, R-Colo., which sought to compel Trump to get Congressional authorization before committing American service members to the war in Yemen, was spiked by a lame duck Congress on Nov. 13. With 14 million souls at the risk of famine, the kingdom’s apologists in Congress decided to abandon their consciences and the prerogatives granted to them by Article I of the Constitution to placate the president and, perhaps, satisfy their own sponsors in the military industrial complex. Thwarted in reclaiming their constitutional power to declare war, the new Congress will still have the opportunity to end U.S. military support for Saudi Arabia through its power of the proverbial purse. Democrats should team up with libertarian-leaning, foreign policy realists in the Republican party to present a bipartisan front against the Trump administration’s reckless support for Saudi Arabia’s war. There is precedent for doing so. In 1986, Democrats in Congress tried to block President Ronald Reagan from selling Stinger missiles to the Saudis. While they couldn’t muster the veto-proof majority needed to block or amend arms sales, Reagan caved to the public pressure this created and quietly removed the Stingers from the deal. The House of Representatives cannot block treaties, but it can stop appropriations bills from aiding and abetting Saudi. The Trump administration’s complicity will only become a political liability if Congress keeps this issue in the public eye.